You Can Help Change Mason's Future. He has never been keen on having his own wheels as every wheelchair he has tried screams out disabled and mason doesn’t see himself as having a condition and only wants to be known as Mason not the little boy with EB, we finally found one that goes over gravel, sand, Fields and looks cool as we know when your a lad and ten years old image is a big thing. 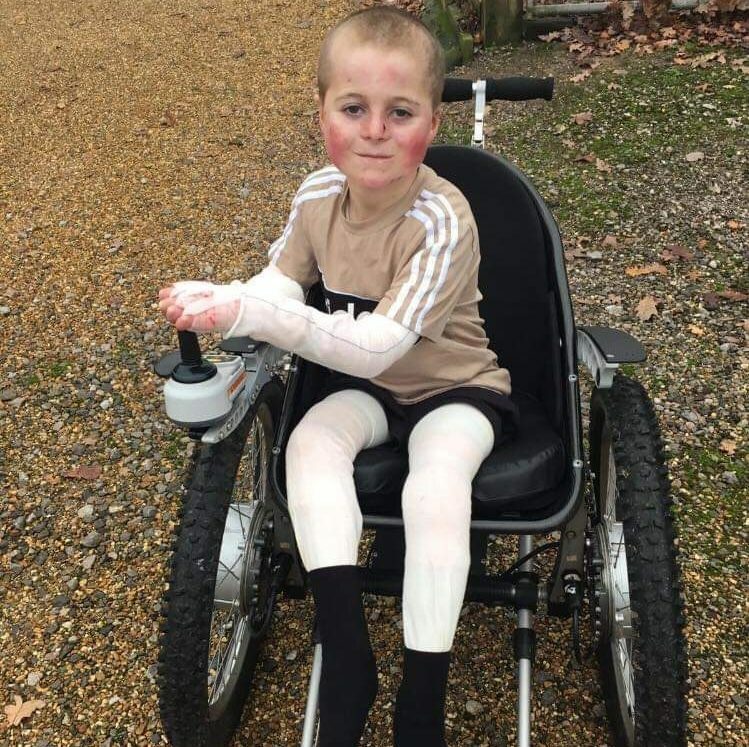 When you have a condition and need specialist equipment it is very very expensive and thanks to Jemma Kaye and The Dorset Children’s Foundation the deposit has been paid but we still need over £7000.